Greek language available, Croatian updated and second Russian language pack. SOBI2 RC2.5.9 and Flash MP3 Player Plugin released. Today we released SOBI2 RC2.5.8. Turkish and Russian language packages for SOBI2 component available. Sigsiu Online Business Index 2 RC2.5 released. Sigsiu Online Business Index 2 RC2 released. A new version of SOBI 2 is now available - SOBI 2 RC1! Today we released the second Beta version of SOBI2. Sigsiu Online Business Index 2 (SOBI 2) released! SOBI 1.2.1 released (works with Joomla! 1.0.10). SOBI 1.2 released. 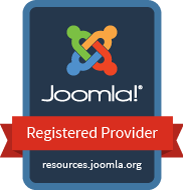 SOBI - is a component for the WCMS Joomla! to show entries of companies. Sigsiu Online Business Index Component Version 1.1 Released - SOBI. We made some corrections and changes.